Can’t make it to the festival in Munich this week? Let FreshDirect bring Oktoberfest to your door! We have an entire section on our website devoted to Oktoberfest essentials and favorites. And although Oktoberfest is a celebration that technically lasts 16 days, from late September to the first weekend in October, in my kitchen, Oktoberfest is synonymous with autumn, and I celebrate it all October long! 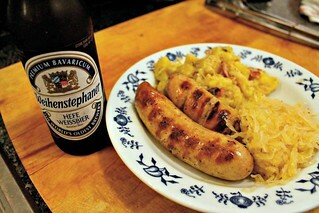 To help you get into the Bavarian spirit, I’ve prepared some classic German dishes for you to try out on your own….